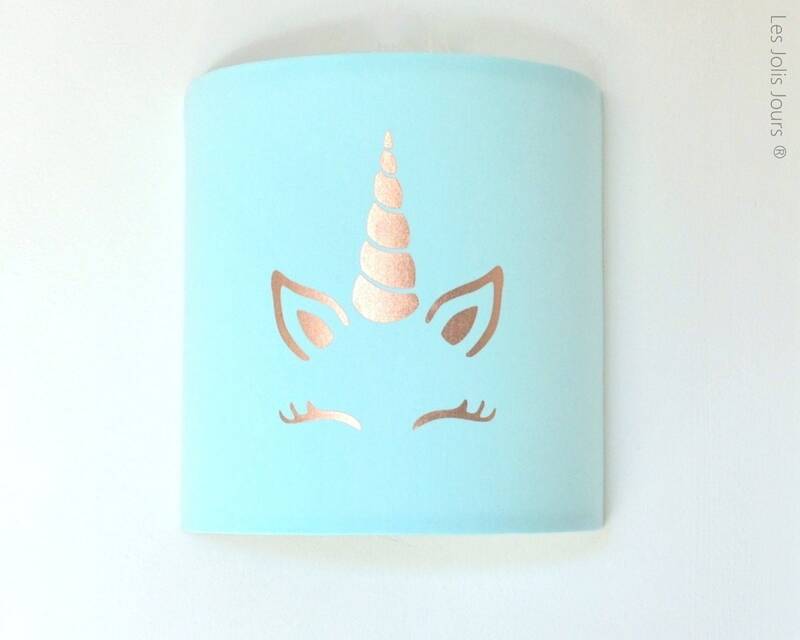 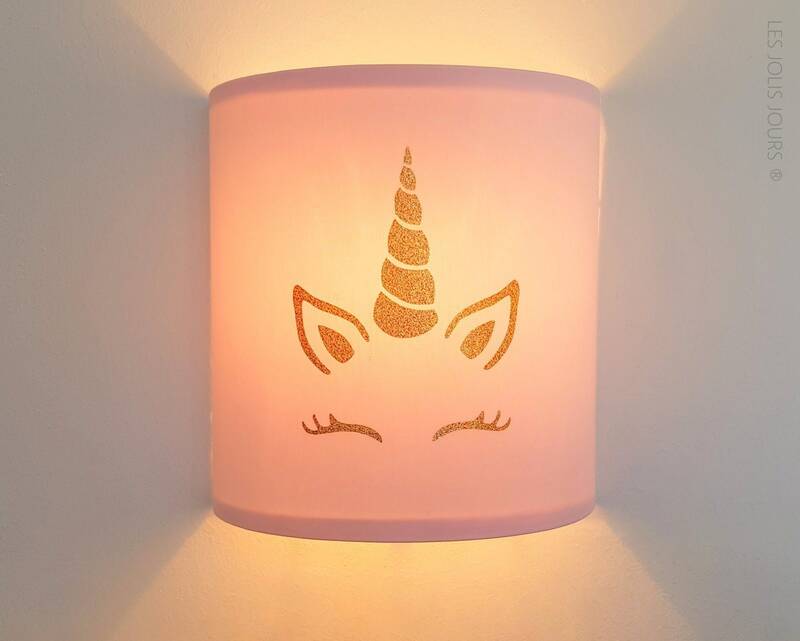 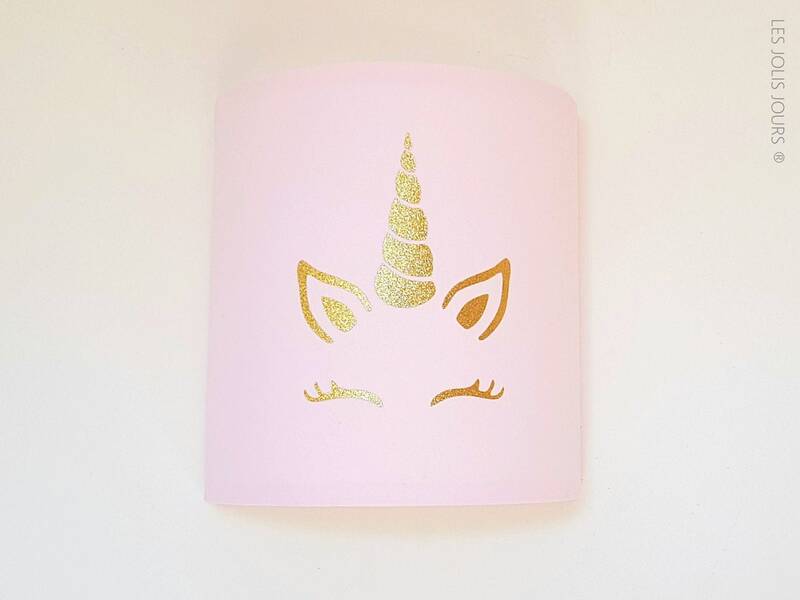 Little girls will be happy to share their room with the applique MAGIC Unicorn head. 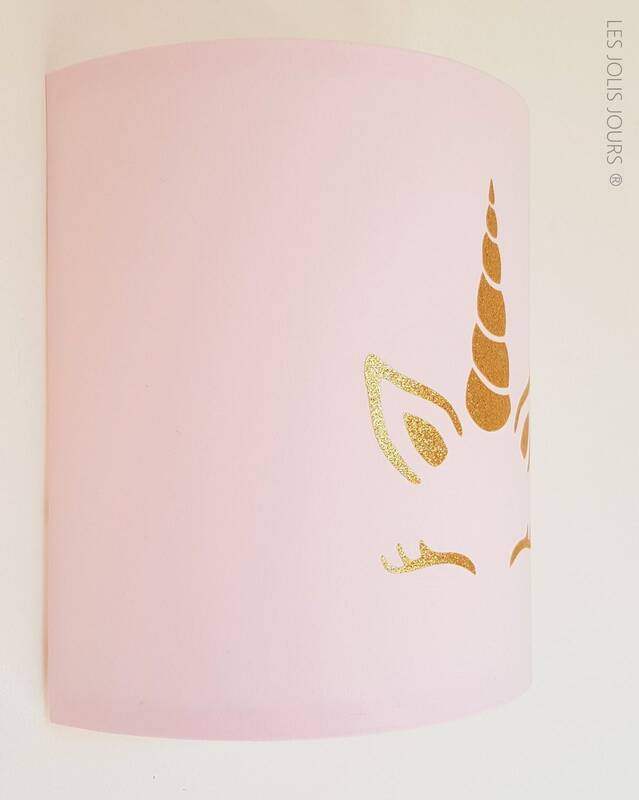 Metal ornament made with polyphane, upholstered in pink cotton with an applied gold head Unicorn glitter flex fusible. 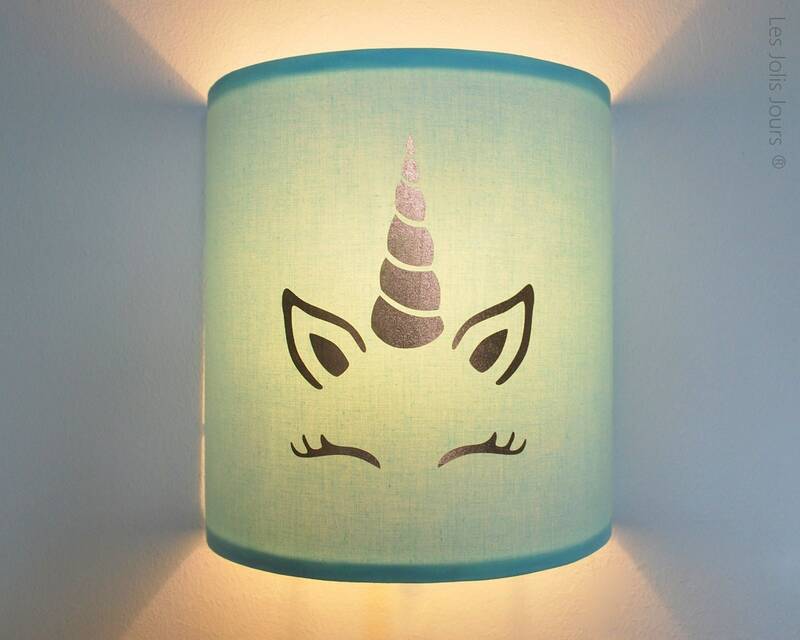 Also available in mint cotton.